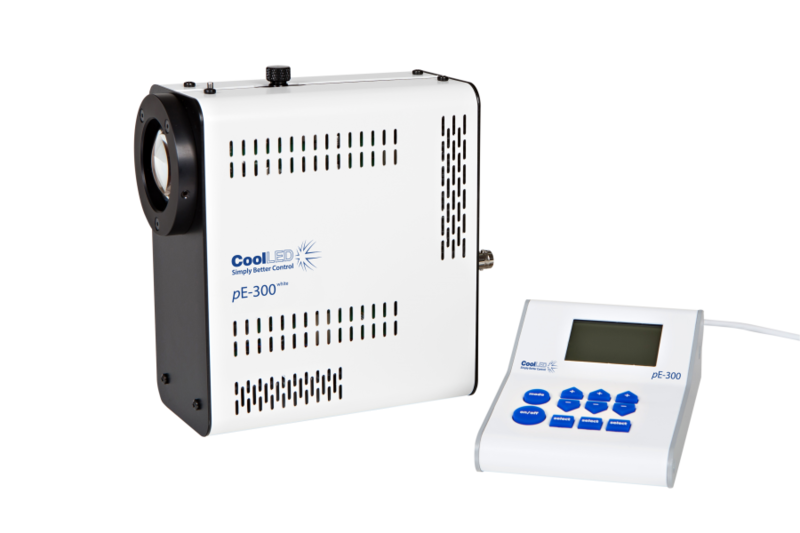 CoolLED’s pE-300white offers intense, broad-spectrum LED illumination for imaging most common fluorescent stains. The pE-300white Light Source can be fitted directly to the microscope or specified with a liquid light guide. The system is a mercury-free alternative that is safer, more controllable, and repeatable than conventional high-pressure gas discharge illuminators. Spectral coverage is from the UV (DAPI excitation) to the Red region (Cy5 excitation).The system is perfect for hospital and regular research laboratory environments.